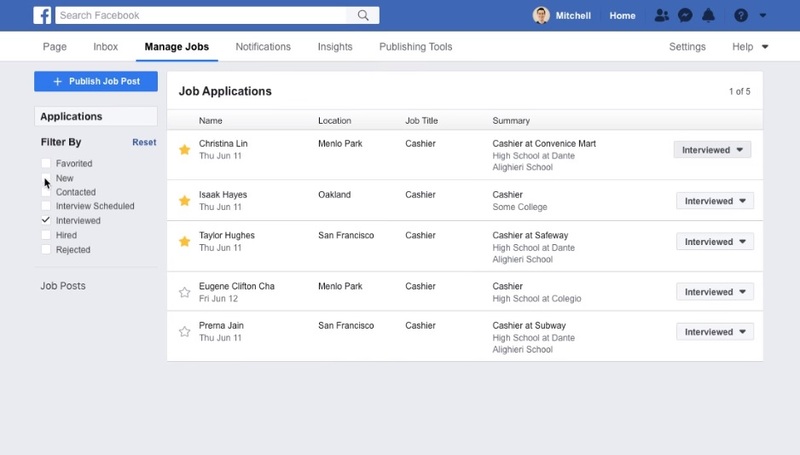 With the holidays just around the corner, Facebook has taken an initiative that may help businesses find the right workers for vacant positions. Yes, the leading social media platform has added some new features to its job listings just ahead of the big holiday push. Besides adding job listings to the Facebook Page, users can now also post vacancy announcements on relevant groups that they are part of. This will not only improve the hiring procedure but also enhance the utility of Facebook groups. New management tools will soon be seen on the “Manage Job” tab. The new tool will allow users to filter, sort, and mark their favorite candidates and choose the most appropriate one in the most efficient manner. Lastly, Facebook will now be allowing users to assign admins who play the roles of Page Managers on their Facebook pages. The Page Managers will not only handle job applications and post jobs but also assist the users in making decisions allowing the hiring process to go more smoothly. These enhancements will make hiring on Facebook more convenient for both the parties and with the holiday season soon approaching – the Facebook’s job portal will be best utilized. Similar to LinkedIn, the Facebook’s job listing helps individuals find jobs for their relevant skills. However, since LinkedIn leans more towards white-collar jobs, the Facebook’s ad portal is more suitable for casual and local individuals.